The leading financial writer blasts high-frequency trading in his new book. Score one for the humans! Critics of high speed, computer-driven trading have a new champion. 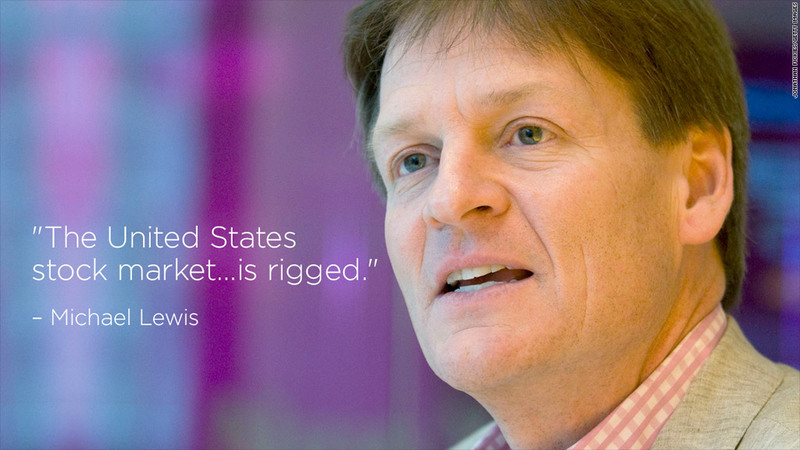 Michael Lewis, one of the nation's best known financial writers, takes on the topic of high-frequency trading -- a strategy in which traders use computer algorithms to buy and sell stocks in the blink of an eye -- in his new book. "Flash Boys: A Wall Street Revolt," in stores Monday, tells the story of how several insiders at high-frequency trading firms used speed and automation to gain an advantage over less technologically adept investors. "The United States stock market, the most iconic market in global capitalism, is rigged," Lewis said Sunday in an interview with CBS' "60 Minutes." Lewis says high-frequency traders, along with the stock exchange operators and big Wall Street banks, are getting rich at the expense of "everybody who has an investment in the stock market." While average investors likely don't notice, it can have an effect on the funds many Americans use to save for retirement. Here's how it works: Critics say some traders use high-frequency technology, HFT for short, to allow them to see a slower trade request coming through the system. The HFT firm then sells shares to the pension or mutual fund at a higher price. This all takes place in a matter of nanoseconds and may only result in a penny or so additional cost, but it adds up. 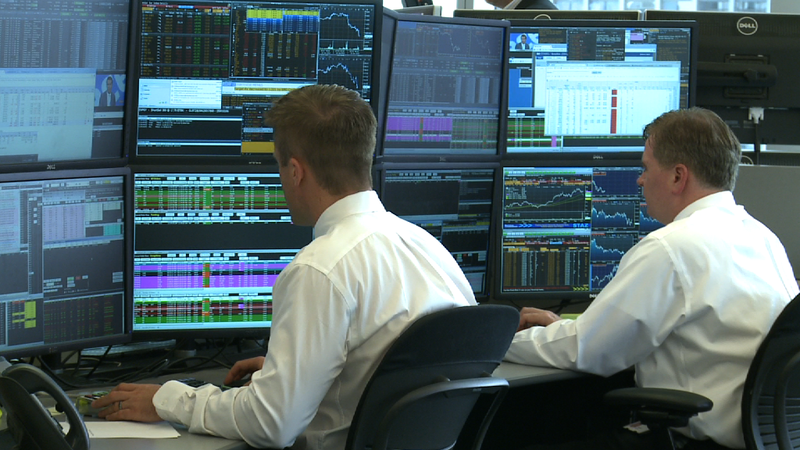 Of course, the high-speed trading industry sees it differently. "The markets are not rigged," said Peter Nabicht, a former executive at high-frequency trading firm Allston Trading who is now an advisor to the industry group Modern Markets Initiative. "Saying otherwise is a broad generalization that lumps the vast amount of good market behavior in with a few bad actors." Nabicht argues that the average investor benefits from high-frequency technology because it helps provide liquidity and lowers commission fees. The debate over high-frequency trading, he added, should be "grounded in data, rather than sweeping, inaccurate generalizations." Still, high-frequency technology has come under increased scrutiny from regulatory agencies recently. The New York Attorney General, Eric Schneiderman, has described high-frequency technology as "insider trading 2.0." Last week, Schneiderman told law students at NYU that his office "will continue to shine a light on unseemly practices that cater to high-frequency traders at the expense of other investors." He singled out certain stock exchanges, which he said enable high-frequency firms to "co-locate" their computer servers in the same data center used by the exchange, giving them the ability to execute trades a fraction of a second faster than other investors. The Securities and Exchange Commission has taken steps to address some of the potential pitfalls associated with high-frequency trading. After the May 2010 Flash Crash, when the Dow Jones industrial average briefly plunged nearly 1,000 points before bouncing back, the SEC introduced circuit breakers that automatically halt trading when stocks make unusually abrupt moves. The commission came under additional pressure in 2012 following a massive trading glitch attributed to Knight Capital Group. The SEC comes out looking particularly bad in Lewis' book, which describes commission staffers as unwilling or unable to regulate high-frequency traders. SEC spokesman John Nester declined to comment on the book. In a statement, Nester said the commission is currently reviewing "a range of market structure issues, including high frequency trading practices and their impact on the fairness, efficiency and integrity of our markets." That may be too little, too late for some critics of high-frequency trading. Dennis Kelleher, chief executive of Better Markets, Inc., a non-profit group that advocates for market transparency, blasted the regulator for failing to crack down sooner. "The SEC has adopted a see-no-evil approach to the out-of-control computer trading on our markets," he said. "For some reason, SEC staff seem enthralled with the fairytales of the HFT industry," he said. These traders may only earn a fraction of a penny on each transaction, but those pennies add up to billions of dollars when the technique is repeated in rapid succession. "Mutual funds and 401(k)s are losing a slice of some amount on literally every single trade," said Kelleher. "We're talking about vast sums of money traded by those entities on behalf of investors and retirees. That's how Wall Street rips off Main Street every day." So, will all the buzz generated by Lewis' book lead to any concrete change, or will the issue fall by the wayside? Joseph Saluzzi, an executive at Themis Trading and co-author of the book "Broken Markets," believes it could. "He took a complex subject and made it readable," said Saluzzi, who has read the book. "If the average investor reads this book and is outraged, then politicians will hear about it, and that might restart the push for regulations." Lewis, a former bond trader, has made a career out of documenting the seedy side of the investment industry. His 2010 book on the investors who profited off of the housing bubble, "The Big Short: Inside the Doomsday Machine," was a New York Times Best Seller. It will be made into a movie produced by Brad Pitt's Plan B.